I understand Collision Objects (very nice!) and appreciate that particles will bounce off the ground plane. 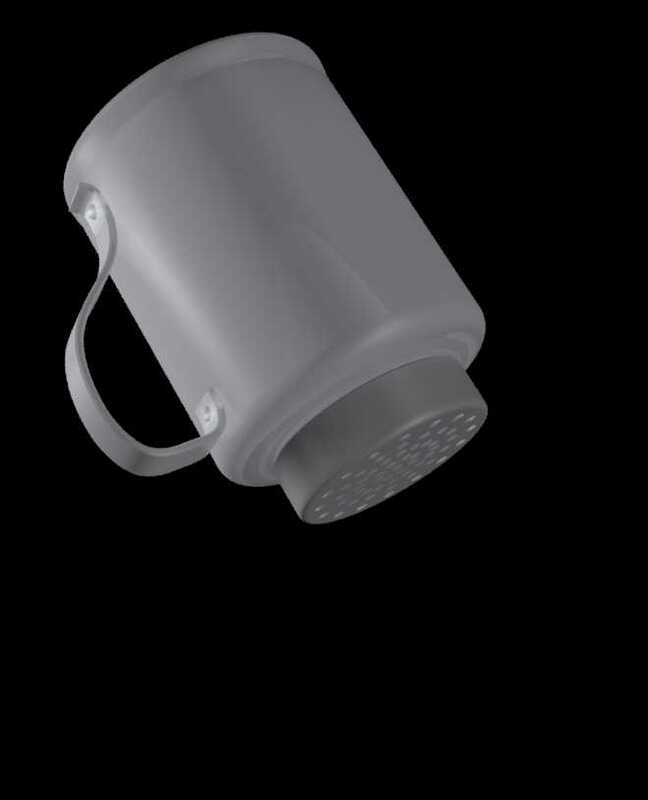 In the case of a metal shaker, with perforated cap, could fountain particles (sea Salt Crystals) bounce around inside and occasionally exit the perforated holes, if the object was pointed towards the ground plane? I.e. : I would want the sea salt crystals to appear to be falling through the holes in the cap onto the ground plane. And would Shake FX work best for this, or just change position of the shaker in the timeline? It would be best if the Shake movement could influence the Sea Salt particles exiting the shaker. I suspect this animation might require somewhat complex setup. I think you may be asking too much of Strata's particle system. What if you had a separate (cloned) particle generator for each hole? Maybe set one up for one hole, that emits a few grains of salt, get that to work and then duplicate it for each hole... adjusting some of the settings to randomize the flow. I made some test animations. The particles flow so quickly from the construction object, that you don't really notice that they're not flowing through the holes. But . . .
1. I can't seem to make the spray wide enough. The particles emanate from the center of a Construction Sphere (fairly large) And I made the cone angle very wide. 2. particles(spheres) are not bouncing of the collision object (ground) I tried using a Ground Plane, but that didn't work so I created a new ground from geometry (designated collision object). Still no bounce. The Shake FX works well!